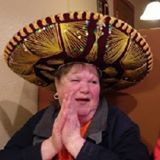 Patricia Ann Kress 74, of North Bend died September 10, 2018 in Coos Bay. A potluck style celebration of life Service will be held Saturday, September 22, 2018 @ 1pm at the Gazebo at the very end of Cape Arago. Please comment with what you’re able to bring. Also, please bring your camp chairs, due to limited seating. Cremation will be held at Ocean View Memory Gardens Crematory with inurnment at Sunset Memorial Park in the family plot, Coos Bay.